A friend who works in the film industry asked me to make him a custom tote bag to hang on his camera cart. And since I am back in New York for a hot second, it means I get to enjoy all the tools of a true mad genius – tiny pencils, double sided sewing tape, and Saranac beer. Bring on the custom orders! 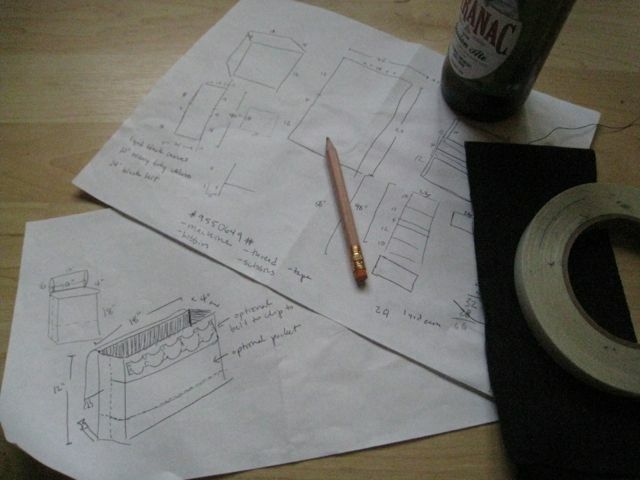 This entry was posted in DIY, Online Shop and tagged beer, in the studio, plans. Bookmark the permalink.